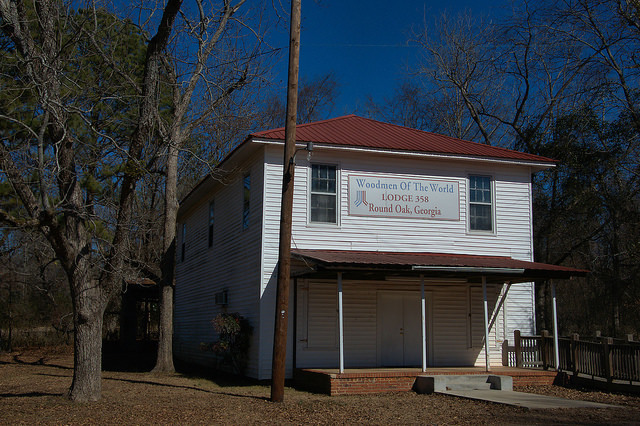 This historic congregation was established in 1833. This is a very well-preserved example of this popular 19th-century Georgia form. This is located adjacent to the structure I assume to be J. H. Morton’s store. 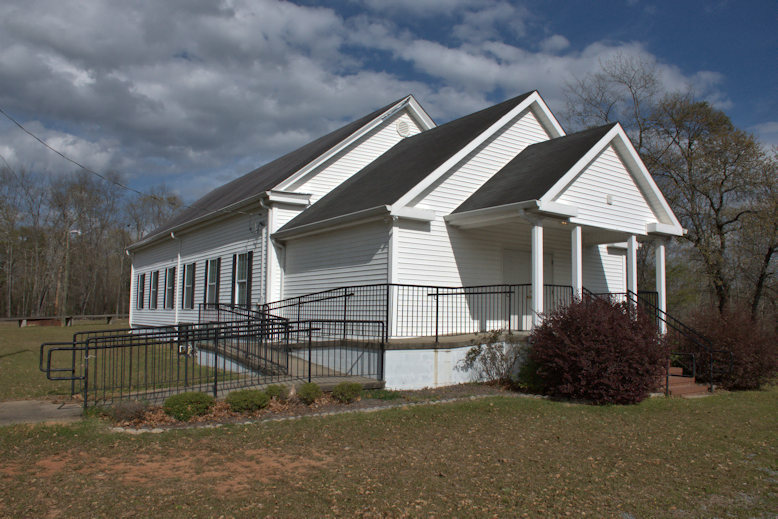 Known at its organization as Round Oak Methodist, and now called Sunshine Methodist or Sunshine II, the church seen here was organized sometime after the burning of a more primitive log structure known as Sunshine Church, which was a Baptist congregation. 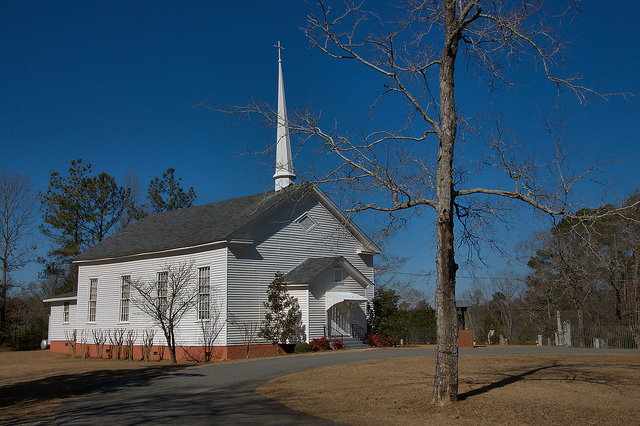 That church was the site of the Battle of Sunshine Church (30-31 July 1864), one of the few Confederate victories in the Atlanta campaign. Stoneman’s raiders, attempting to meet up with Sherman’s forces, encountered three brigades commanded by Clinton native General Alfred Iverson. A decisive Confederate victory forced Stoneman’s surrender. Four months later, Sherman’s troops burned the old church as they passed through the area en route to Savannah. 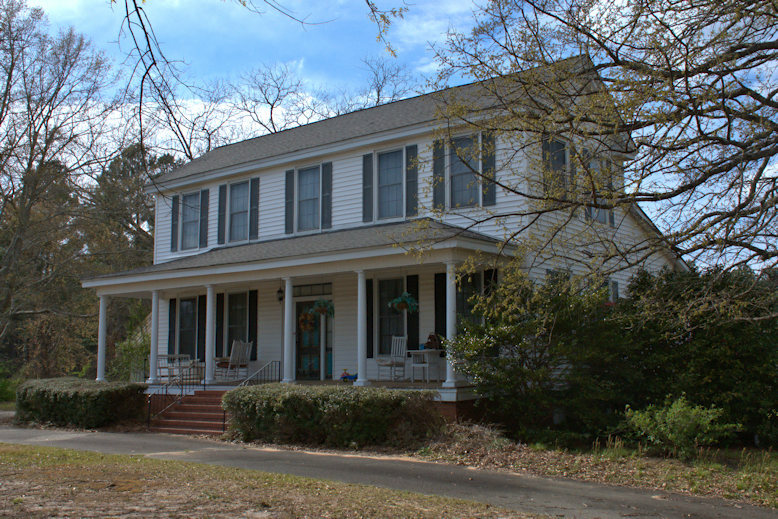 Founded as Sylvania in 1807, Round Oak is one of the oldest settlements in Jones County. 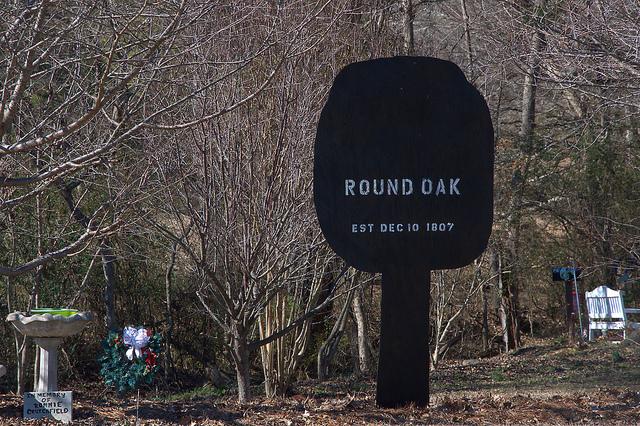 The name was changed to honor an ancient oak known as a gathering place for Native Americans. 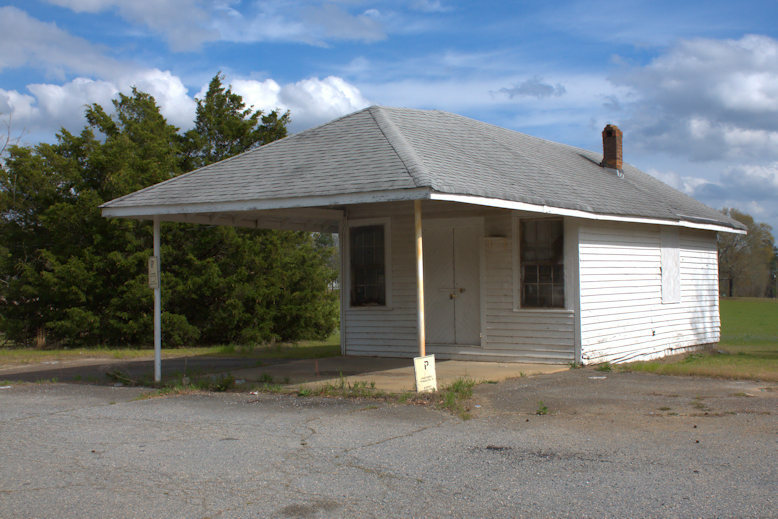 A depot was built in 1885 and brought a thriving economy which persisted until the early 1920s. The Big O Ranch, home of Otis Redding’s widow Zelda, is located on Otis Redding Road just outside town. This camp dates to 1907 and the building is likely contemporary to that date. 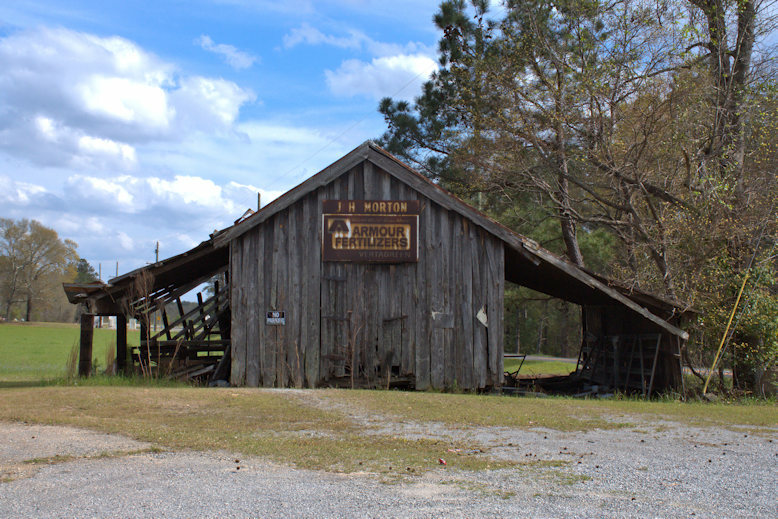 Jones County History & Heritage Newsletter (Fall 2003) notes that dances were held upstairs during the 1920s.